Gold Price Best Year Since 2010, Up 14%, 2018: Year of the Phoenix? – 2018: Currency War and The Year of the Phoenix? Gold waved a very positive goodbye to 2017 and was delighted to shout ‘Happy New Year!’ to all investors. 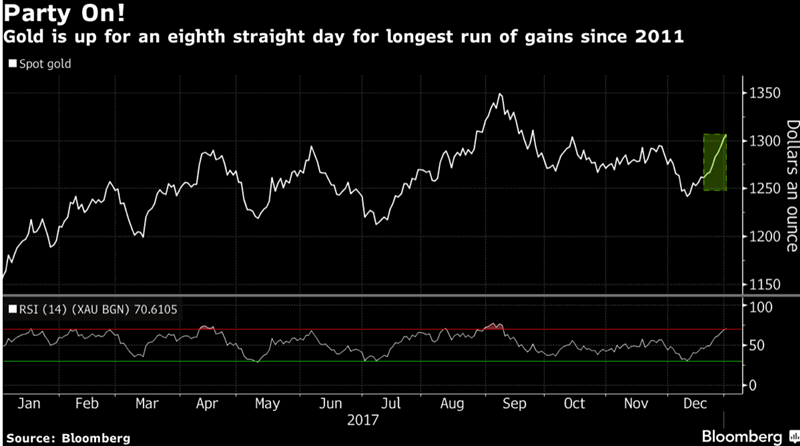 In doing so, gold bullion prices advanced for an eighth session yesterday, extending its longest stretch of gains since mid-2011. This was the perfect start to a new year which followed an annual surge of nearly 14%. 2017 is the second year of gains for gold. In 2016 it posted 14% gains, its best gains since the 29.5% gain in 2010. Gold bullion’s stellar advance is even more impressive when one considers the extremely mixed year that was 2017. It ranged from Federal Reserve rate hikes to rapidly advancing stock markets. The year’s events were like a tug-of-war on the drivers of the gold price. 2017 on paper perhaps should not have seen a 14% gain in the gold price. There was an acceleration in global economic growth as countries began to keep pace with one another. Much to Trump’s delight official figures showed the U.S. economy performed well. Not only did the the unemployment rate touch a record low, but inflation alsoremained subdued. Meanwhile the Fed hiked interest rates three times, something many believed would be the kryptonite to gold’s superhuman strength. Investments that are often seen to as alternatives to gold performed exceedingly well. 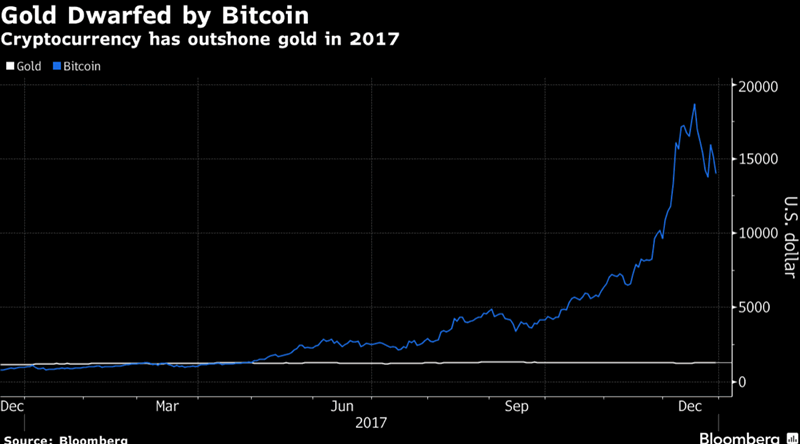 The U.S. stock market continued its record-breaking rally, while bitcoin and other cryptocurrencies experienced what can only be described as a bubblicious and parabolic rise in the last few weeks of 2017. And, right at the last minute the Republicans managed to pass a very dodgy looking tax bill, prompting Trump to peacock around even more. Following Trump’s election there had been high hopes for the price of gold. After all, here was a man who had been elected without political experience and on the back of creating social and economic divisions. However, following Trump’s inauguration there was a post-election sell-off at the start of the year. Many were clearly feeling positive about Trump’s impact on both the domestic and international stage. As various unexpected scenarios played out, from failure to get much done in the White House to sober-rattling with North Korea, the precious metal began to climb. Towards the end of summer, in early-September the gold price hit a year-high of $1346/oz. It then quickly sold off. 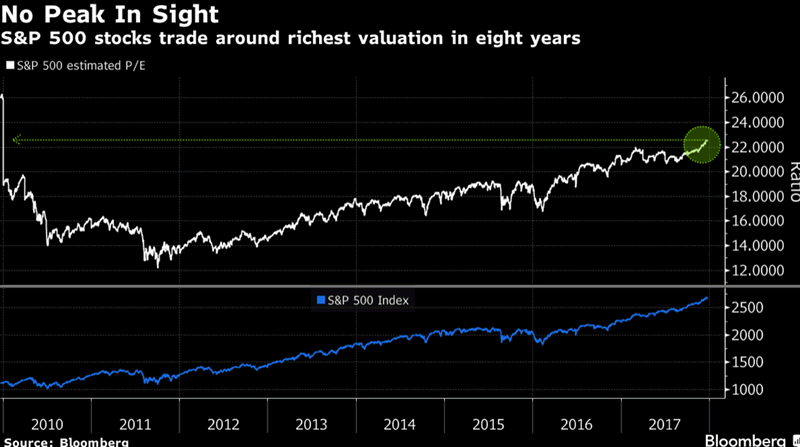 Whilst the yellow metal finished the year with a respectable run of gains, the final figures did not match those of say, the S&P 500 which climbed by over 19% in the same year. Does this mean that relatively speaking the gold price is something we shouldn’t be delighted with? Not at all. The year of 2017 was one of arguably bearish events for the price of gold yet it still made near 14% gains, better than money in a savings account. This second year of climbing by gold should serve as a timely reminder that the precious metal is not something that will be poked and prodded thanks to short-term, unsustainable economic and political events. Gold investment is for the long-term and there is little benefit thinking that one event will affect the reasons to hold gold. All of the ‘positives’ of 2017 such as low inflation, Fed hikes and tax bills being passed arguably came about because of farcical economic readings and political manoeuvring. None of the statistics or decisions made as a result are sustainable, particularly against a background of increasing geopolitical risk. The gold price reflected this, particularly in its reactions to what should have been bearish Fed-rate hikes. 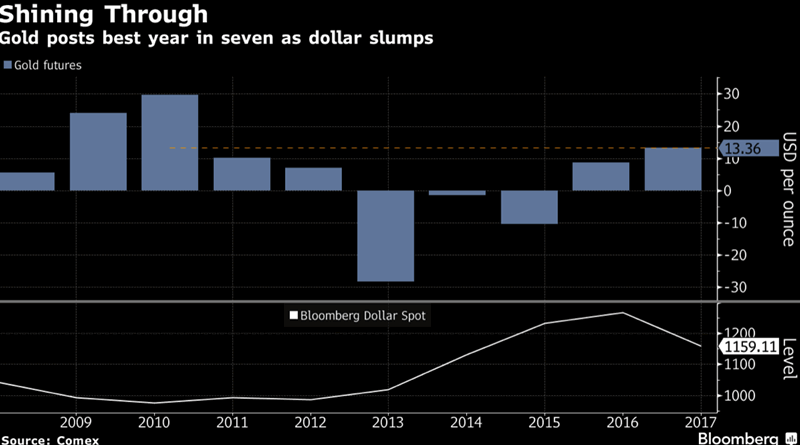 It is safe to say that in 2018 gold will be sent significantly higher thanks to ongoing US dollar weakness, higher debt and deficits, stronger growth combined with potential wage inflation, coming together in a perfect storm with geopolitical risks. One of the key reasons for gold’s 14% climb in USD terms is thanks to the weakness in the US Dollar itself. There was a strong correlation between the gold price and the greenback in 2017. 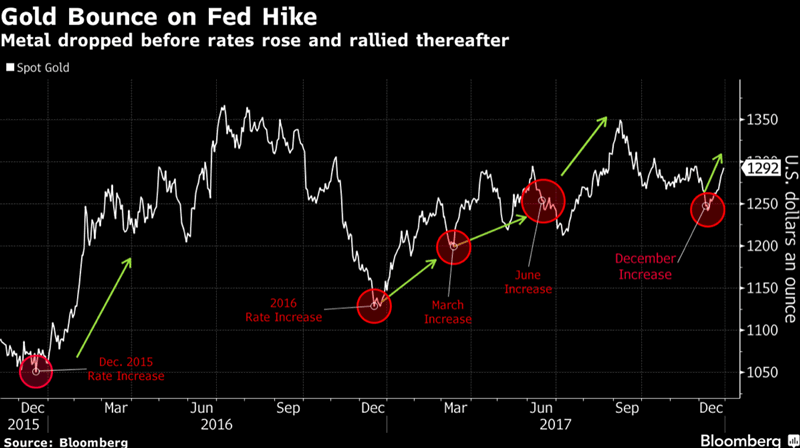 It’s also worth mentioning that the level of yield of the inflation-protected 10-year Treasuries at the end of the year was similar to the level at the beginning of the year (about 0.5 percent). People do not want the global reserve currency anymore. 2018: The year of the Phoenix? Nearly 30 years ago The Economist predicted that 2018 would be the year of a new currency uprising. You have to give the magazine some kudos for this prediction. Given what we saw in 2017 with both the rise in bitcoin, cryptocurrencies generally and, of course, efforts by Russia and China to build financial allegiances away from the US dollar, a new world currency in 2018 is more likely than not. That’s right, whilst the financial media can talk as much as they like about how great 2017 turned out to be, there were plenty of events behind the mainstream wall that were clearly preparing for a financial world where decisions of the last decade come back to bite us. Moves by Russia and China to step away from US dollar hegemony continued and rapidly progressed in 2017. This forthcoming year does not suggest any sign of let up. Much of the moves away from the US dollar involve the use of gold as the intermediary currency. Exchanges and trade agreements are in full swing. We also cannot mention 2017 without bitcoin. This was the year that the lead cryptocurrency truly arrived and established itself in the minds of the establishment. As we have explained several times, bitcoin is not a substitute for gold. It has attracted a lot of hot money in the last year, but long-term this is not to the detriment of gold. Our own experts also see great things for gold this year, particularly thanks to geopolitical threats by those truly looking to end US-power : North Korea. 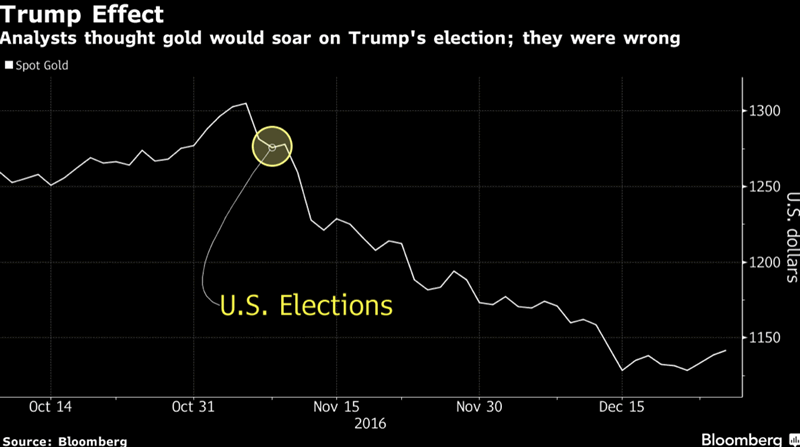 ‘Gold could end the year at $1,500 if geopolitics heats up in North Korea or the Middle East.’ This is despite gold’s lack of reaction at the various threats from both Trump and Kim Jong-Un. However, gold loves uncertainty and this is certainty a situation which is dripping in volatile uncertainty. 2018: Will it hold its own against the last two years? 2017 showed us that there is still a show to be played out by governments and central banks. There is still a farce to be seen when it comes to reassuring us about the state of the global economy. Gold’s price rise and the dollar’s weakness shows that there are question marks over this recovery. Gold may be indicating the reality that very little has changed since the financial crisis. Any ‘fixes’ have been done with a bit of sellotape and little else. We build over the cracks rather than repair them. 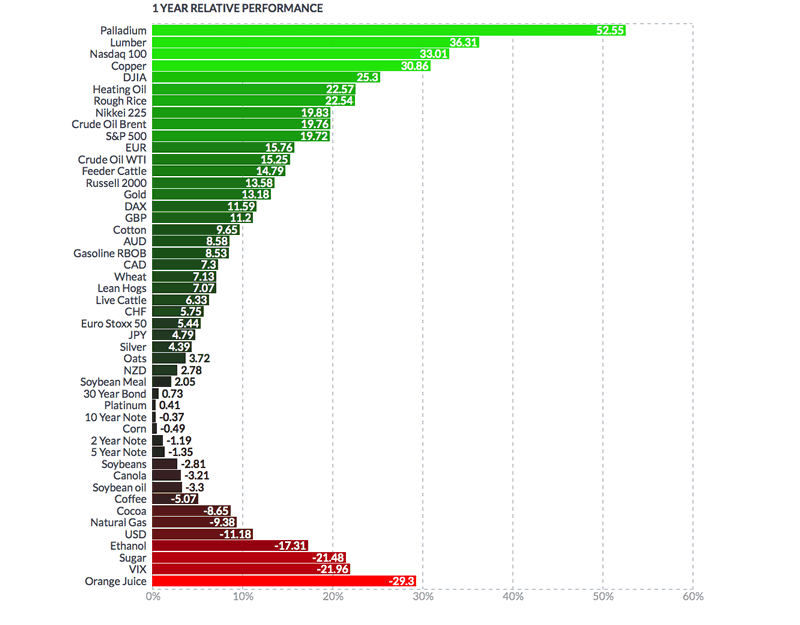 Gold investors were rewarded this year for their patience. This is particularly the case given there is seemingly little difference to where we find ourselves today compared to the last two years. Arguably the world is much more uncertain. 2018 is a year not to take chances and to own physical, allocated an segregated gold. The risks in the system are bigger than ever and investors would be wise to take all measures to protect their wealth.